Does your kid have difficulty falling asleep or sleeping through the night? Parents notice their kids fall asleep easily and stay asleep. 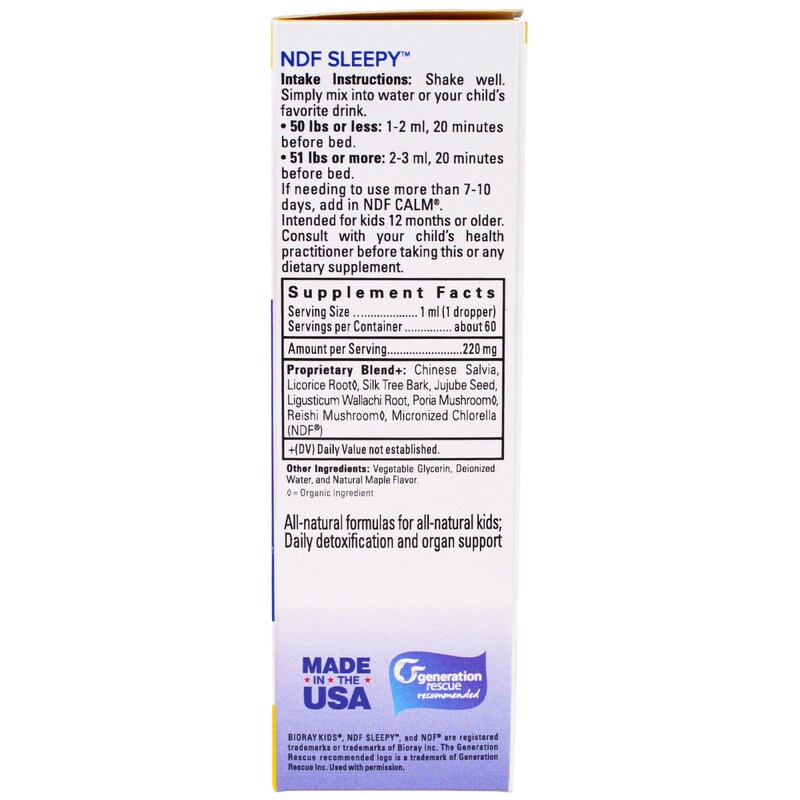 NDF Sleepy decreases the time it takes for kids to fall asleep, restlessness, anxiety, and worry; calming the spirit for restful sleep. Shake well. Simply mix into water or your child's favorite drink. 51 lbs or more: 2-3 ml, 20 minutes before bed. If needing to use more than 7-10 days, add in NDF Calm. Intended for kids 12 months or older. 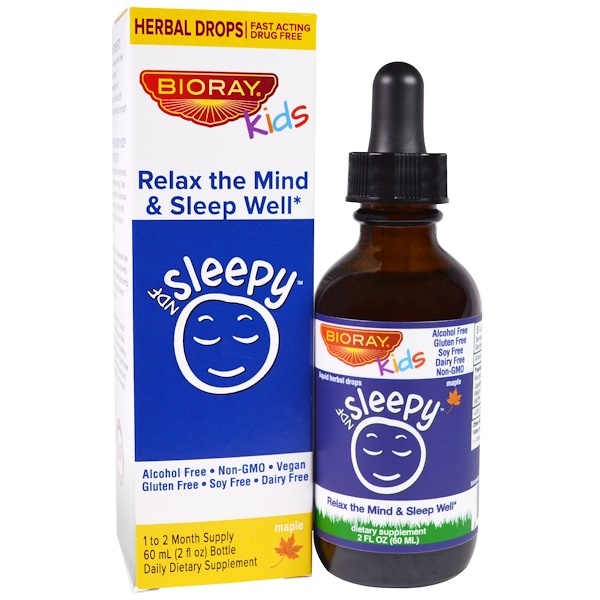 Consult with your child's health practitioner before taking this or any dietary supplement. Vegetable glycerin, deionized water, and natural maple flavor. Proprietary Blend+: Chinese Salvia, Licorice Root♦, Silk Tree Bark, Jujube Seed, Ligusticum Wallachi Root, Poria Mushroom♦, Reishi Mushroom♦, Micronized Chlorella (NDF).